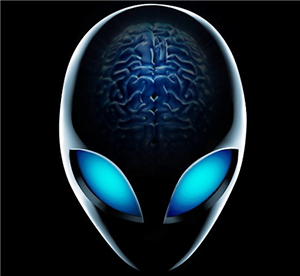 I have an Alienware 14 laptop (64-bit Windows 7; Core i7-4700MQ; 8 GB RAM; NVidia 750M; purchased summer of 2013). About once a week, I will try to run a graphics intensive game which the graphics card can typically run at about 45-50 frames per second, and I will get only 5-10 frames per second. This drop in graphics power will affect any game I try to play, and it does not go away until I flash the bios. It's the current bios, and I just re-install it. * Made sure that all drivers are updated. * Used the NVidia software to make sure the laptop runs these specific games using the “High Performance NVidia processor”. * Made sure that the power saving options do not throttle game performance. * Verified that the NVidia processor is active while the game is playing. I have an icon in the notification area that indicates the NVidia processor is working for the game I’m trying to run. Additionally, I’ve run GPU-Z to verify that the processor is actually doing something when I’m trying to run the game. Like I said, the only solution I’ve found is to flash the bios. This will fix the problem (all games will run well), but it always comes back eventually. Obviously, this is not an ideal solution. It sounds like throttling to me. Even if you use software to maximize everything, if the GPU temp is getting too hot, it will drop down the clock to cool it off. Have you looked at temps at all? If they are running high, you might want to see about cleaning out the case with some canned air etc. If that is not the case, it could be the thermal paste is wearing out? Those are the only things I can think of off the top of my head. Excellent suggestions. I will try these out.